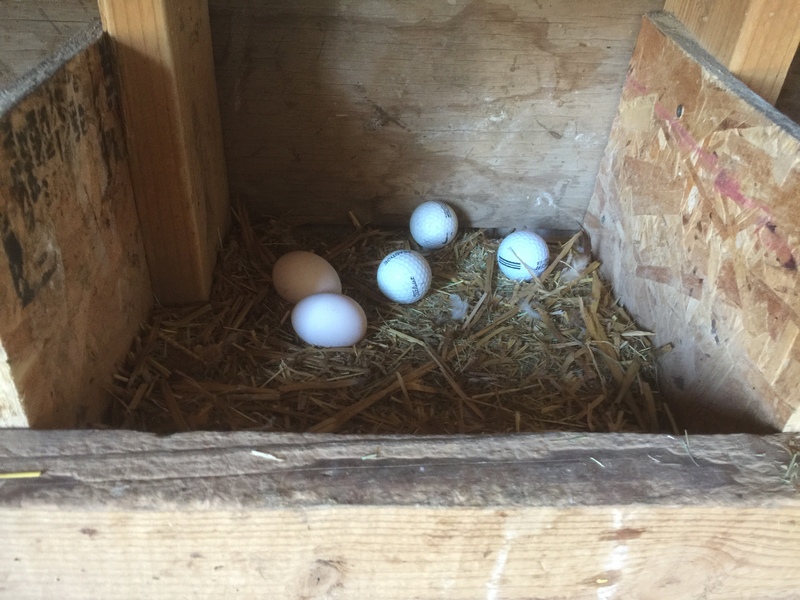 A while ago when I complained that the Leghorns don’t seem to understand what nesting boxes are for, commenter feralfae suggested leaving eggs in the boxes to give them the idea. …golf balls, to be specific. I remember this working when I was a kid, but for several days the girls continued ignoring the boxes. Still, yesterday we did at last get a couple of white eggs in with the balls so maybe they’re taking the hint. We used to use those porcelain doorknobs, of which there were plenty at the time. Nice, love the golf ball idea! I remember we also had chalk eggs at the ranch, one in each nest, when I was very young, about 5 or 6. Congratulations.